The 2016 Car of the Year at the Professional Driver Car of the Year Awards has been revealed to be the BMW 730Ld Saloon. Indeed, it was a great year for the BMW 7 Series, with the model also picking up the accolade of Chauffeur Car of the Year 2016. It means the BMW 730Ld Saloon picked up top prizes in two of the seven categories at this year's awards. Richard Hudson, sales director for BMW UK, said: "To take home this prestigious award is a real honour. 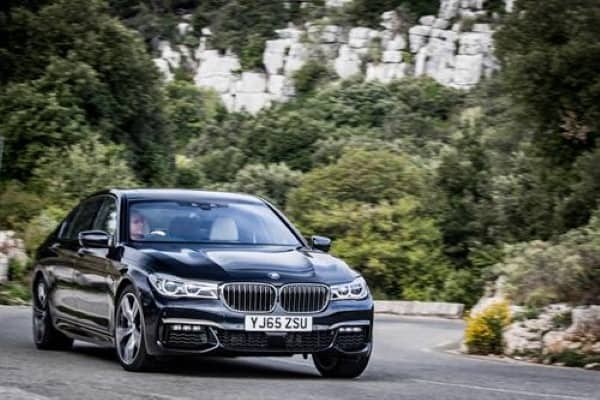 The BMW 7 Series has gone from strength to strength since its launch in 2015 and we hope this continues in the future." Overall, editor of Professional Driver magazine and one of the awards judges Mark Bursa stated that the model secured one of the highest average scores in consumer testing, with excellent results for fuel efficiency and outstanding manufacturer back-up. Natalie Brinkley, brand manager at Fuel Card Services, adds: "The 730Ld Saloon really is a worthy winner in what remains a hotly-disputed category for the UK's best professional driver's cars. "It is great news to see the model receive some welcome recognition, with the vehicle likely to feature far more prominently in fleets across the UK in the wake of this latest award."